Team building should be fun and interest everyone involved. What about some artsy activities that don’t involve travel or a lot of planning? How about something that you can enjoy and get to know your colleagues doing. 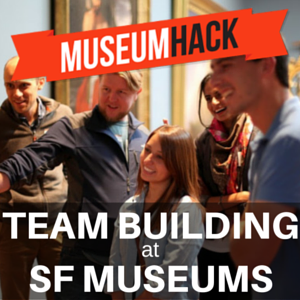 Here are three great artsy team building activities in San Francisco to try out. Let’s start with the obvious when we talk about artsy activities. San Francisco is the home of 1AM, which is an art gallery that offers amazing work experiences. There are all sorts of art workshops, where members of the team will need to work together to create a masterpiece. This will have an outdoor element because it’s mostly street art, but it’s a fun outdoor activity. You won’t need to worry about getting people through those giant spider webs in the middle of the woods! Who would have thought that cooking could be an artsy activity? The best thing about this company is that it will come to you, so your team members don’t have to worry about training. You can even do it in the office or book your own third party venue. The benefit of these events is that you don’t just get a team working together but everyone goes home with useable skills. The focus of this event is to get people working together. This is where leaders make themselves known and show those who have skills working as teams to get a task done. You also end up with something to play on afterwards and can choose to use it or donate it in the end. It’s time to think differently about team building events. Get artsy with your San Francisco team.